In 1977, Star Wars: A New Hope was released in all of its glory, shoddy CG effects and all. But universal acclaim and millions of adoring fans wasn’t good enough for George Lucas, the trilogy’s director. For the film’s 20th anniversary, a digitally remastered version was re-released in theaters and included visual shots and scenes that were considered unachievable with technology from the 70s. Many people considered this new release to be inferior to the original theatrical version, and ever since then fans have sought a way to watch A New Hope as it was presented back in the day. While there have been attempts to “despecialize” the specialized edition released in the late 90s, a group of fans has digitally restored an original 35mm film print, an example of which you can see above. 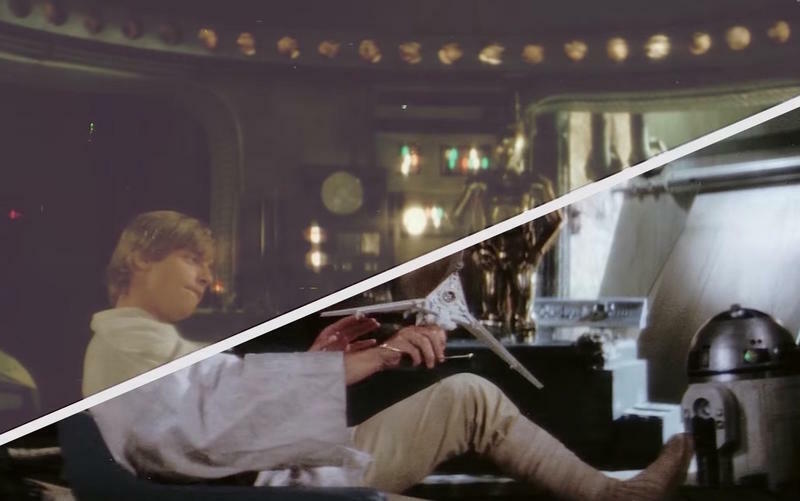 The group, Team Negative1, spent years scanning, cleaning and restoring A New Hope to match what the experience would have been like when the movie was originally released. No added scenes, no fluff, just Star Wars at its most pure. The only copies of the original trilogy commercially available has been Lucas-ified, making Team Negative1’s efforts the stuff of legend. The restoration, as you’d guess, isn’t exactly legal, which means we don’t recommend you go to Google.com and search out the torrent. No, that would be silly. But if you were to do that, you’d be treated to a restored 35mm print without any of Lucas’ special additions.